Recruiters spend, on average, 5-7 seconds looking at a resume. If you don't want your resume to end up in the Trash folder, you need to think outside the box. 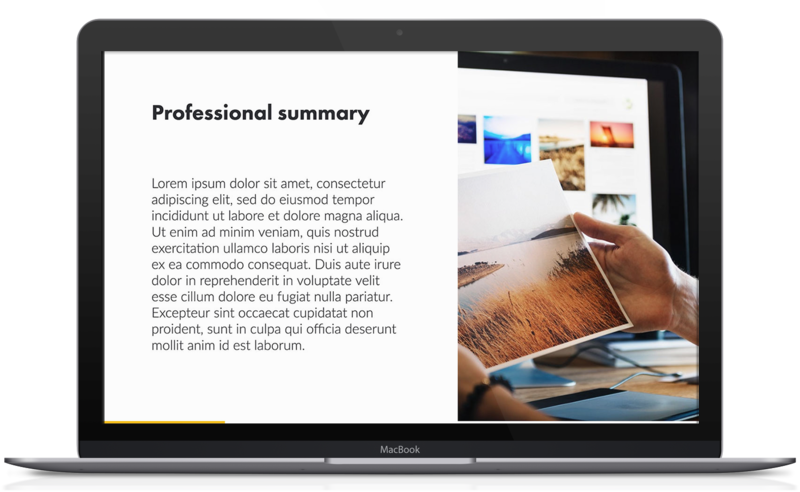 Now you can present your resume to recruiters with our professional looking slide deck. 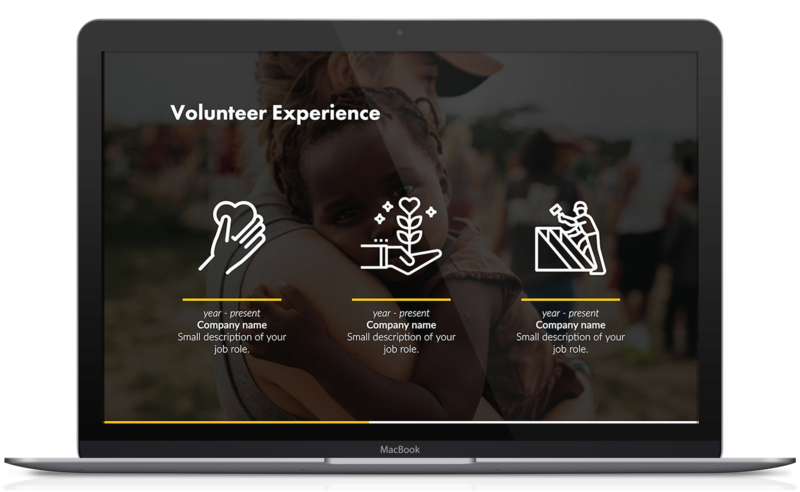 Impress prospective employers with high-quality slides that showcase your experiences and skills. It's a new spin on the classic resume — and it could help you secure the job of your dreams. Why do you need this template? Employers often receive hundreds of resumes for one job position. 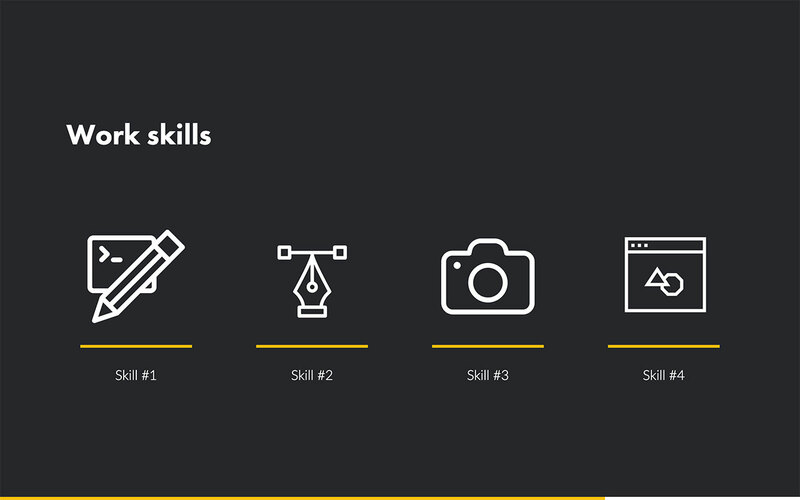 Using a pitch deck to advertise your skills, however, will make you stand out from the crowd. 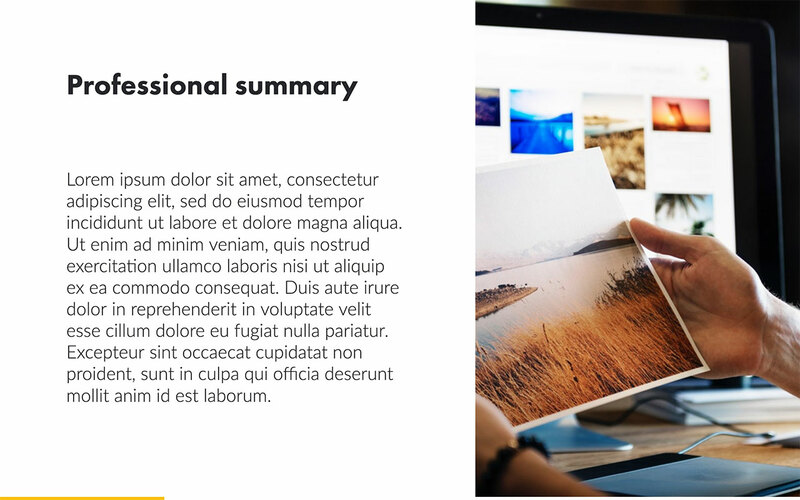 Our resume template includes all of the information you would find on a regular resume, but you can present it differently. You can also include images, graphs, and other graphics to improve engagement and boost readability. 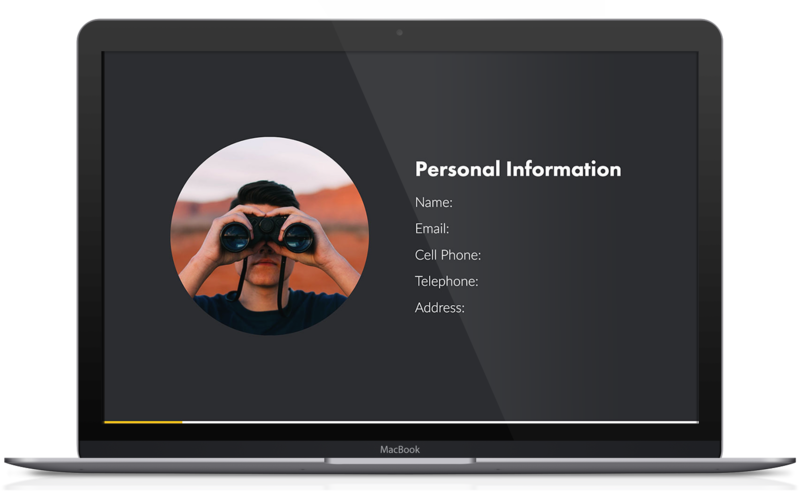 Recruiters can scroll through these slides on their desktop or mobile device and find out more about you as a potential job candidate. Include information about your previous work history, job experiences, interests, and career goals in one place without using several pieces of software. 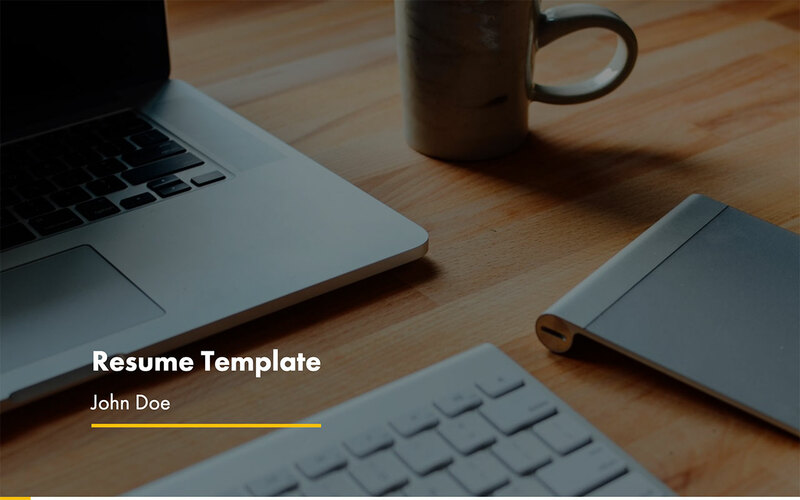 Like all of our templates here at Slidebean, you can embed this document on your website. This lets recruiters discover your skills and experiences when they search for you online. All you need is a single line of code — Slidebean will take care of the rest. 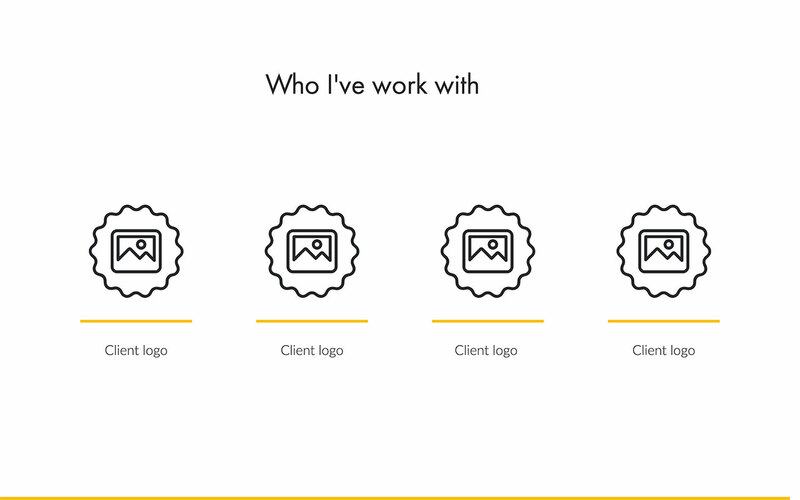 Introduce yourself properly to a prospective employer on this slide. Include your name and the current month and year. This slide is like the contact section in a traditional resume. 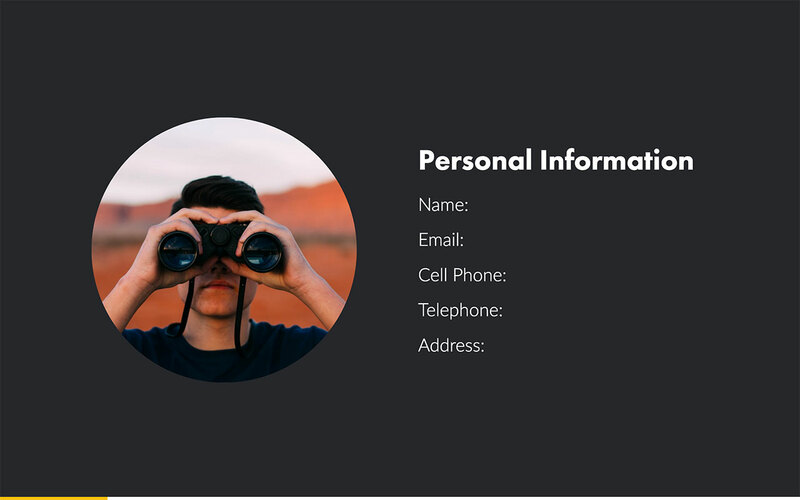 Include personal information like your address, email address, and cell phone number so prospective employers can get in touch and invite you for an interview. Summarize your professional work experience on this slide. There's plenty of space to list your achievements, previous job roles, career objectives, and future goals. This is your chance to sell yourself and convince recruiters that you are the right person for the job. 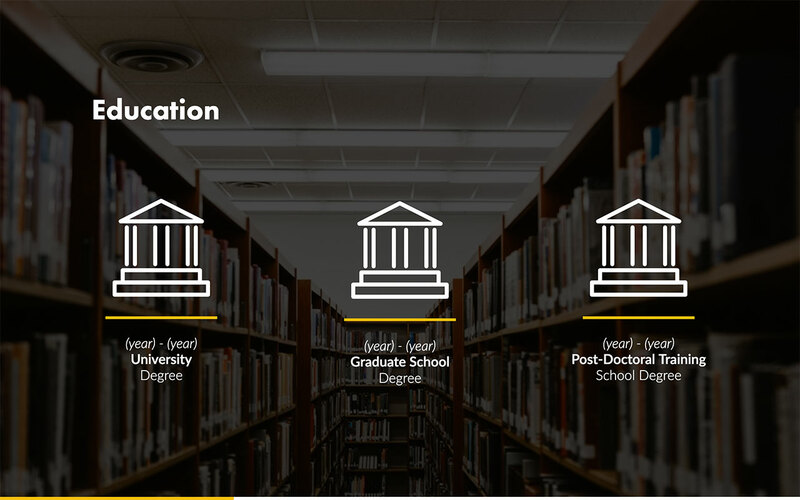 List your educational experience here. 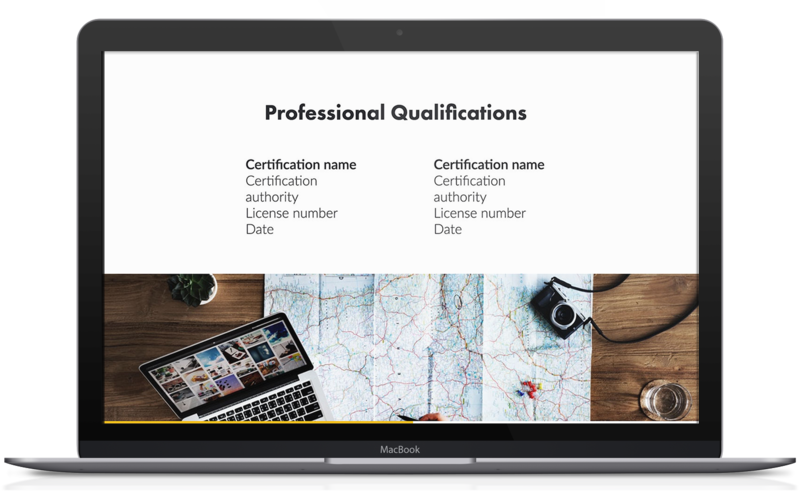 Tell recruiters about the qualifications you hold and the subjects you studied at school or college. 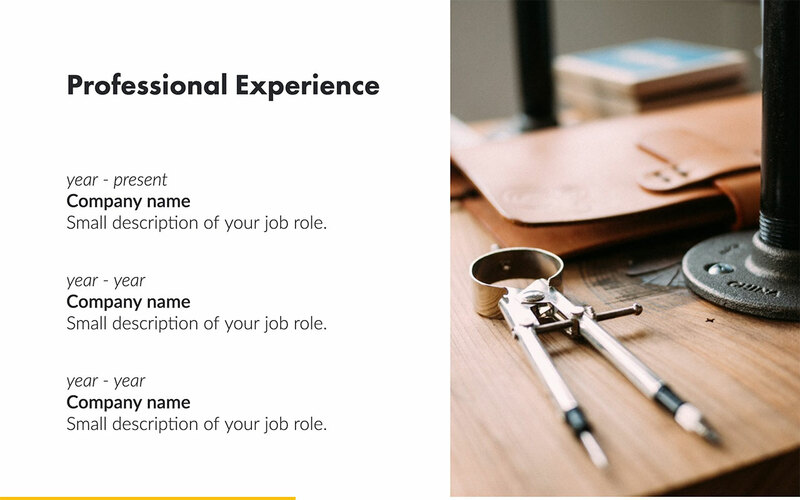 On this slide, you can list your previous job positions. Include the company you worked for and a small description of your job role. 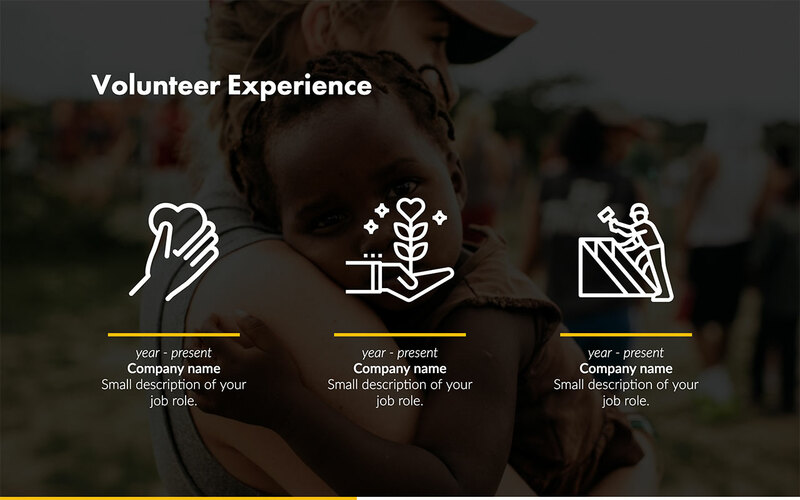 This is the place to list any volunteer positions you have held in the past, as well as internships. Include the company you worked for and a small description of your job role. 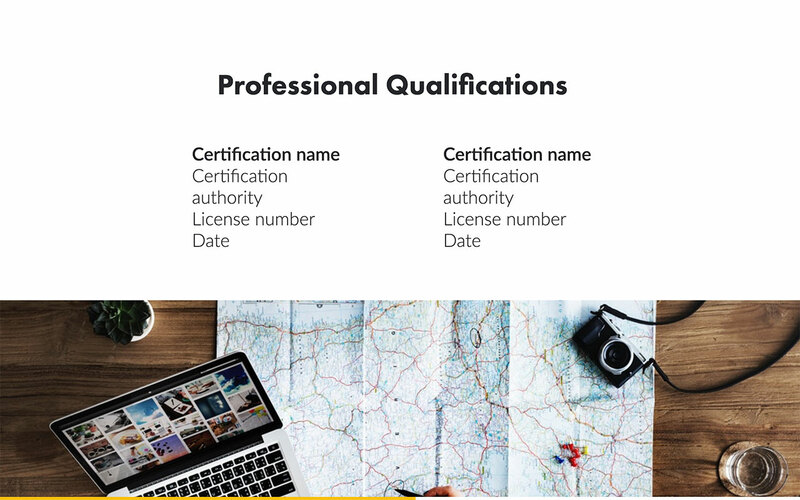 List any professional qualifications you hold here. 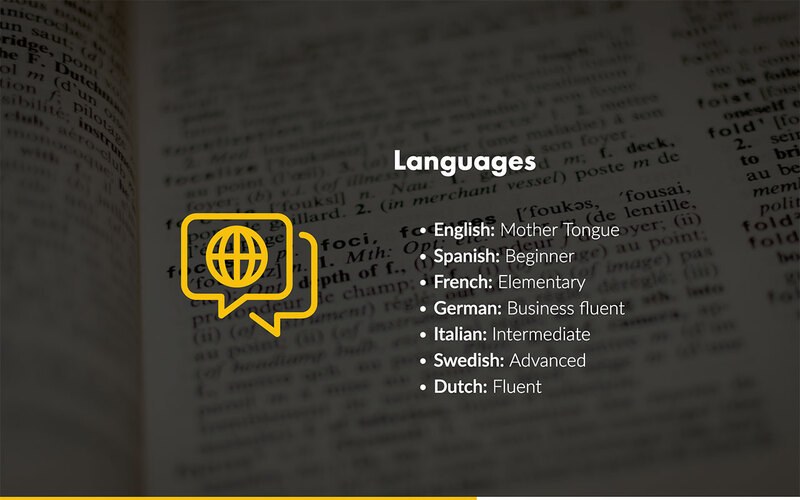 If you speak any other languages, include them on this slide. 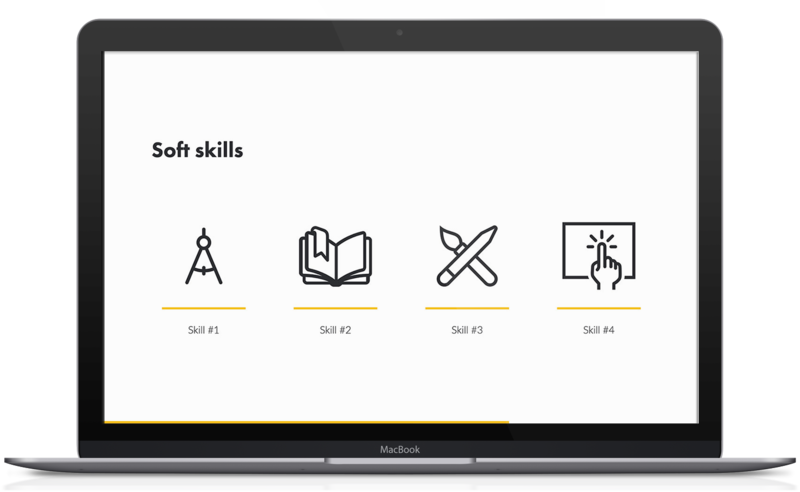 Employers are always looking for job candidates with lots of soft skills. Include skills like teamwork, good communication, leadership, and time management on this slide. 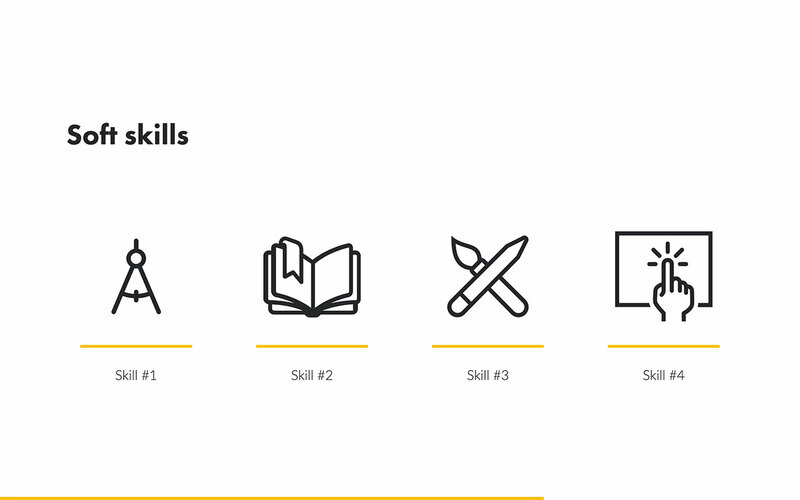 Include work skills such as computer programming and mathematics here. Impress prospective employers with details about any honors and awards you have won in the past. 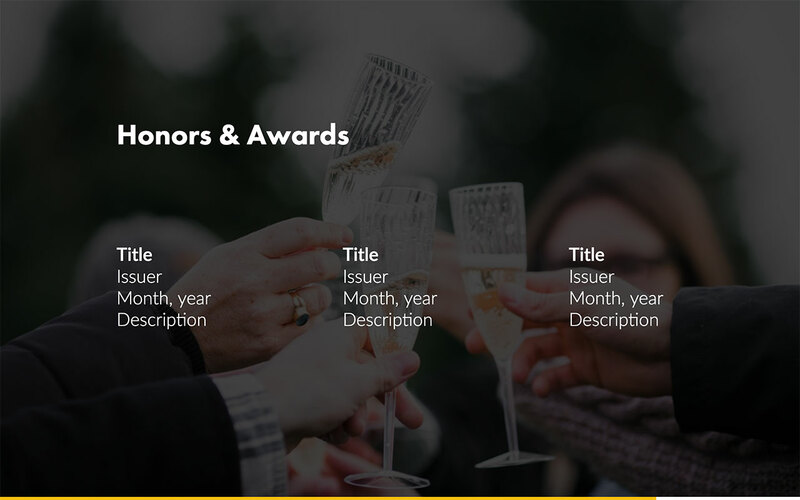 Include the name of the award, the date you received it, and the organization that issued the honor. 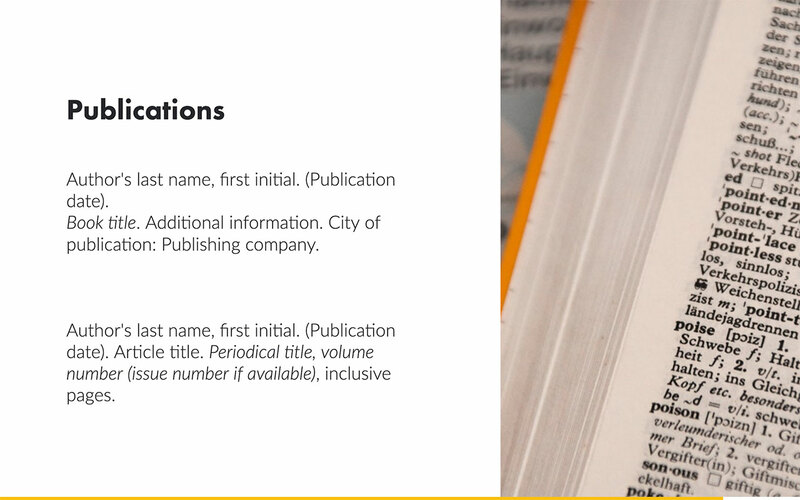 If you have written publications, such as books or journals, include this information here. Here you can showcase some of the clients and companies you have worked with in the past. You can include the logos of these companies, too.